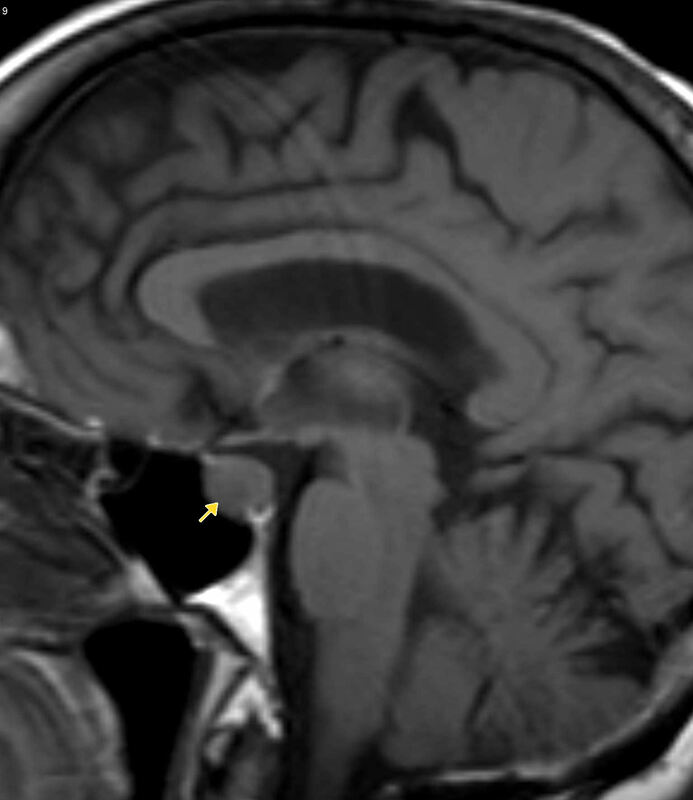 Image 1a and b (Magnetic Resonance Imaging): There is a right sided pituitary adenoma (arrows) measuring up to 14mm with deviation of the stalk to the left. 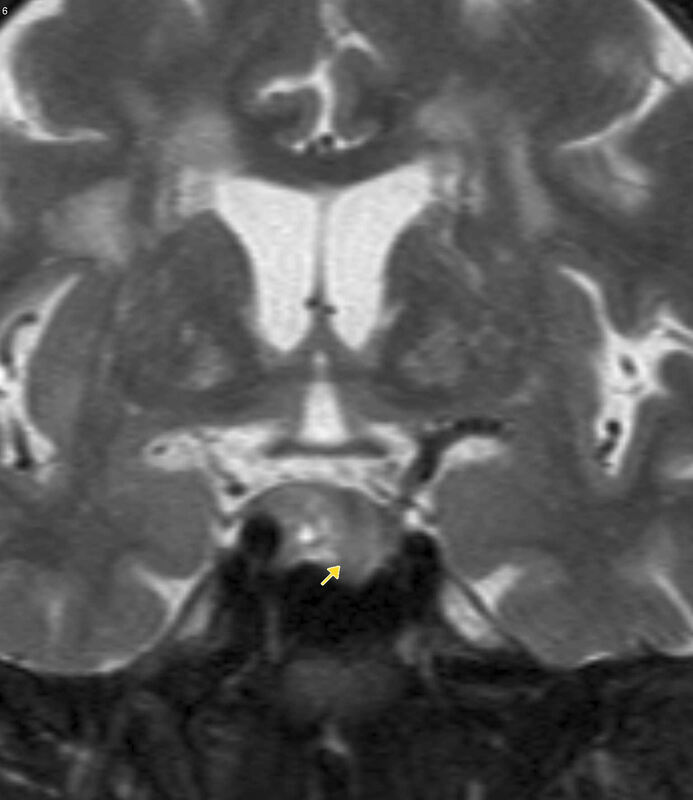 Slight suprasellar extension is noted without impingement of the chiasm or optic nerves. 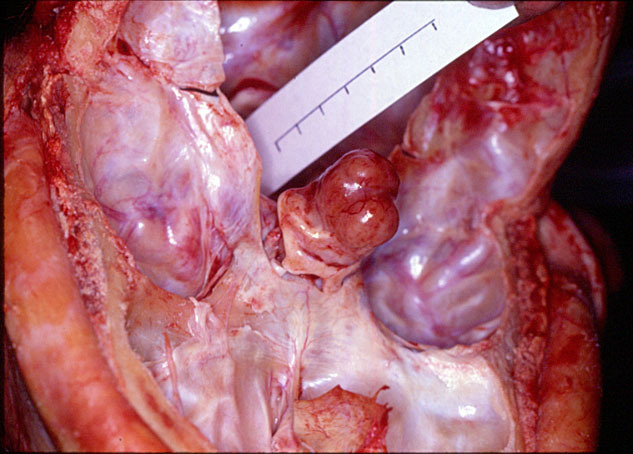 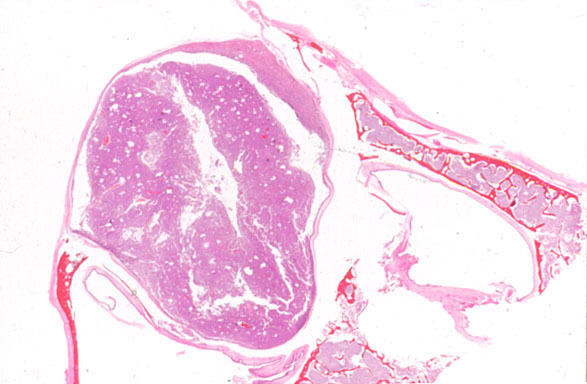 Image 2a and 2b: Post-mortem specimens showing a circumcribed nodular tumour arising from the anterior pituitary consistent with a macroadenoma. 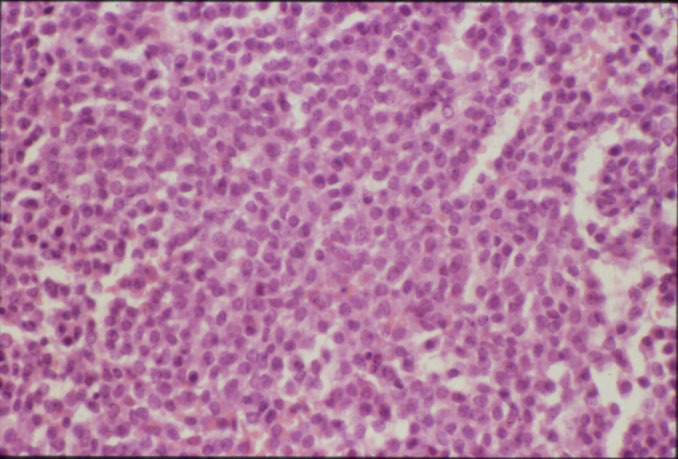 Image 2c (H&E, x2.5) and 2d (H&E, x20): Histological sections demonstrating a circumscribed lesion composed of sheets of uniform polygonal cells with centrally placed nuclei and amphophilic cytoplasm. 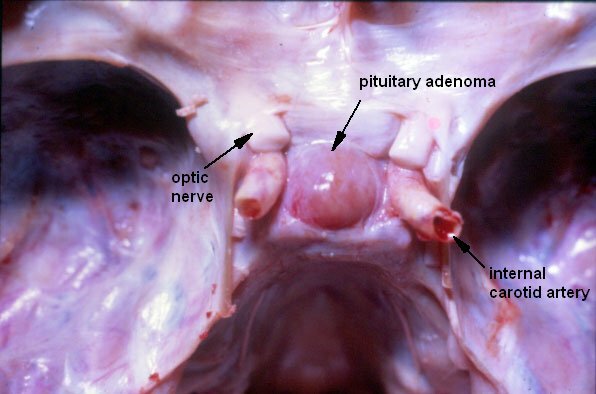 The features are consistent with a pituitary adenoma.